We are leading manufacturers and exporters of an extensive range of Dust Filter Bag, Pleated Filter bag, Filter cage, Rotary air valve etc. These can be offered in different specifications to choose from. 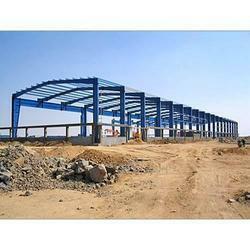 We are offering Steel Structure to our respected customers which are situated all round the nation. At present, ZPMC mainly fabricates steel structure of berth terminal and bulk transportation terminal mooring buoy, upside terminal module, and peg structure. We are involved in offering a wide range of Prefabricated Steel Structures. These Prefabricated Steel Structures are medium to large size steel buildings consisting of primary and secondary steel structural frames resting on civil foundations and provided with suitable roofing, side cladding and water down take arrangements. Our company provides turnkey solutions for industrial structure from designing to commissioning. The key materials used for such projects include stainless steel and mild steel. We nurture a team of professional fabricators that have wide experience enabling them to understand the exacting requirements of clients. We have an exclusive range of Sub Station Steel Structure offering to our clients. This Sub Station Steel Structure is available upto 400 KV sub station. Adherence to industry quality standards, we are manufacturing wide array of Sub Station Steel Structure in different sizes and shapes. 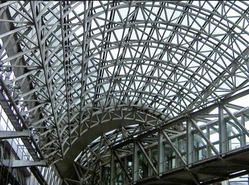 Riding on unfathomable volumes of industrial expertise, we are engaged in offering a broad assortment of Steel Structure Building. We are emerging as one of the leading manufacturers, suppliers & traders of industrial sheds. These shades are fabricated using premium quality MS structure & Galvanized sheets. Moreover, these sheds are used in various construction industries. Further, the industrial sheds are used across the world due to their reliable & durable performance.